One of several online projects I've been occupied with lately is a collaborative (ad)venture titled A VAST SCALE - Evocations of Antarctica*. AVS is a Ning community site created and managed with my Canberra-based friend and fellow Antarctican, Rupert Summerson. If you are interested in participating or having a look-see, please let me know (either leave a comment here or email me at clarab@earthlight.co.nz and I will send you the password to the site). Between us, Rupert and I created a series of short ice-related videos for the Ning site with the purpose of engendering discussion re; the Antarctic environment, sound/music and aesthetics; this is an informal research project whose focus is more on creative process, networking and subjective opinion than it is on hard-nosed statistics and conclusive findings. We presented a joint paper at the Antarctica Sound conference in Canberra next in July 2011. Thanks to the internet we were were able to construct, compose and co-ordinate this collaboration entirely over distance. 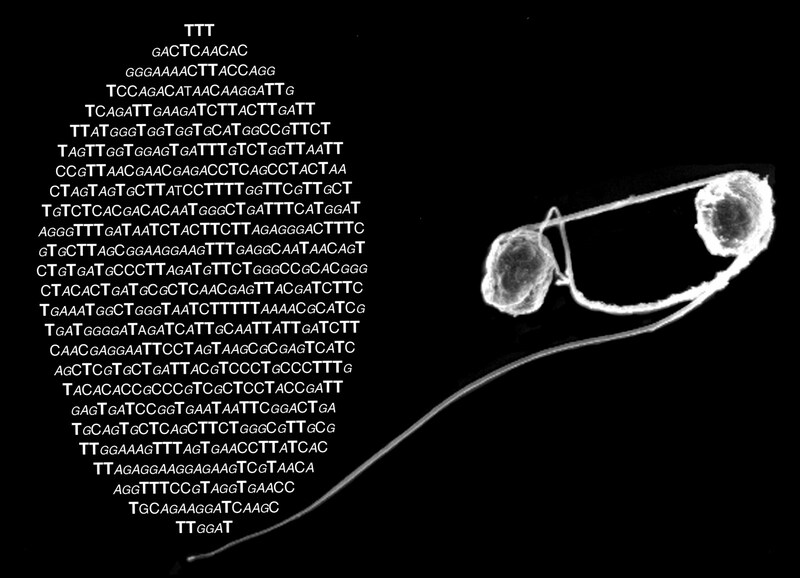 During my years of ArtScience collaboration with polar biologist Sam Bowser I developed an abiding fascination for the DNA and RNA sequences of the protists we were studying and found myself looking for ways to incorporate them in various art forms, and in various ways. 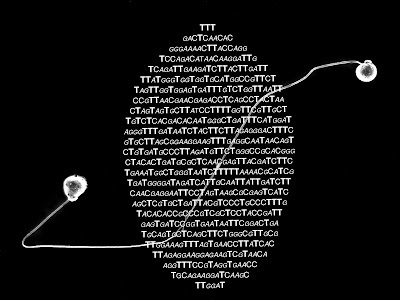 . . As odd as this may sound, DNA and RNA sequences look to me like poetry; when I read them, I hear music. . . It seemed a good idea, then, to transcribe their sequences into quasi-musical notation - why not 'play' the protist's DNA? So. . . Meet Gromia cf. oviformis, a microscopic hot-water-bottle-shaped single-celled critter abundant in Antarctic waters and the first of the protists I have paid musical - and other - attention to. . .
Gromia, for whom home = the ocean floor closest to McMurdo Station, are lean and hungry-looking, while - for some yet-to-be-discovered reason - their relatives in Explorers Cove are spherical and fat. Same creatures, same species, same DNA/RNA sequences yet their expression in the world of form is markedly different. This is curious and raises interesting questions for scientists and artists alike. There is a connection between my AVS project with Rupert and my collaborations with Sam Bowser! A musical performance was arranged as an adjunct event to the Antarctica conference in Canberra. 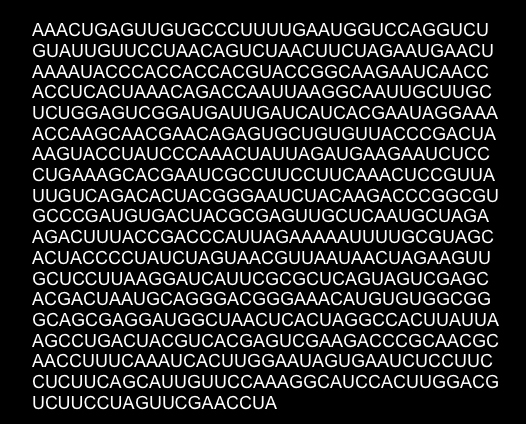 Rupert and I thought it would this would be a fine opportunity to create a collaborative composition, and agreed to use the RNA sequence of Gromia cf. oviformis as our prompt. 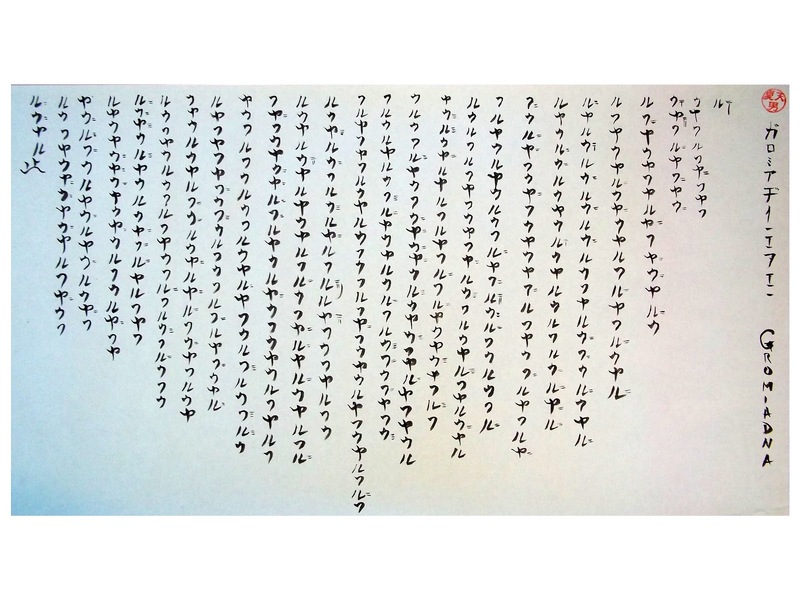 He created a 'sequence code' out of the various 4-letter configurations then transcribed these into Japanese musical notation** for performance on his shakuhachi - a traditional Japanese wind instrument. The result is an unusual, primitive and haunting piece of music. The score is visually very beautiful, too. I especially love the way its linear composition emulates the 'rain' made by volcanic sediment as it travels across the sea ice from the Dry Valleys then filters down to the ocean floor where Gromia have their home. Rupert performed GromiaDNA on his shakuhachi in Canberra, using the medium of sound to make a creature ordinarily invisible to the naked eye, visible. . . My contribution to the event was to create an atmospheric backdrop/stage; a 9min silent film of the eerie, icy waters inhabited by Gromia. 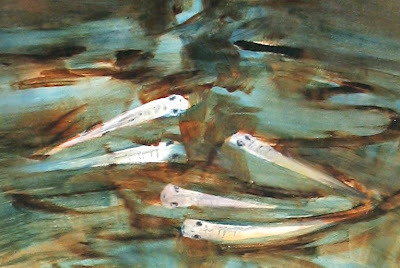 GromiaDNA from Claire Beynon on Vimeo. A 9 minute silent film requires patience! Nevertheless, I invite you to enter these waters; drift a while; cup a small boat; marvel at ice shards, capture a bubble; dance with a sea star or hitch a ride on one of Christina Bryer's exquisite waterborne porcelain forms - an unexpected, slow-motion 'flying carpet'. When Gromia's sequence arrived in my e- Inbox six years ago, it was accompanied by a challenge, 'I don't suppose you can make a poem out of this?' Well, yes, one can make a poem out of anything! 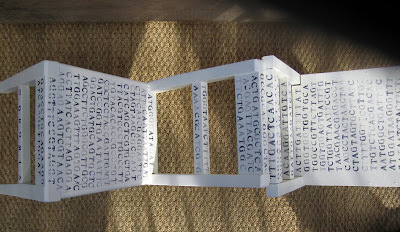 Here is GromiaDNA, as concrete poem*. 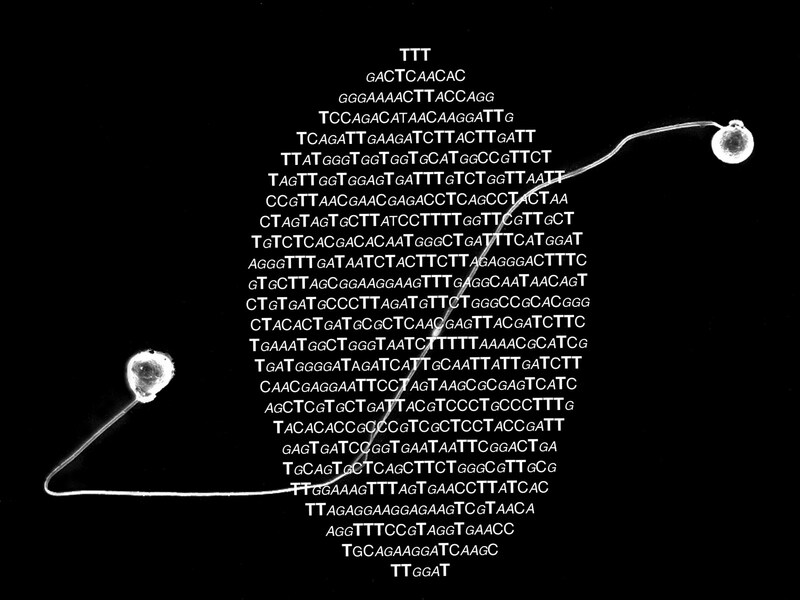 In the next few images, Gromia gametes (SEM images by Sam) encounter the poetry of their own make-up, survey their DNA. . . The encounter becomes a dance. 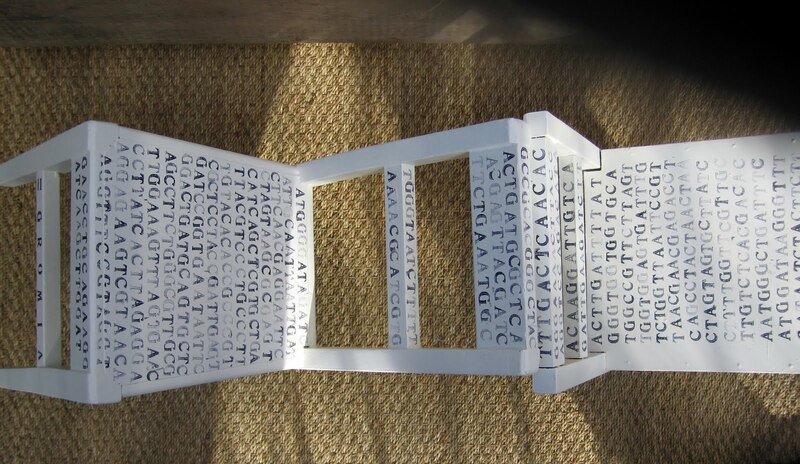 . .
Gromia's DNA sequence also made an impression on this pair of small white chairs. . .
* concrete poetry: poetry in which the meaning or effect is conveyed partly or wholly by visual means, using patterns of words or letters and other typographical devices. "Several years ago at a conference on Antarctica in Christchurch, New Zealand, I was fortunate to meet an artist and poet by the name of Claire Beynon who had been to Antarctica several times. She very kindly gave me a copy of her book of poetry and images called Open Book. On page … actually the book doesn’t have page numbers, so between ‘Quandary’ and ‘Button Shop – Via Cappeleria, Rome’ is a rather strange image of what looks a bit like a hot water bottle filled with letters. 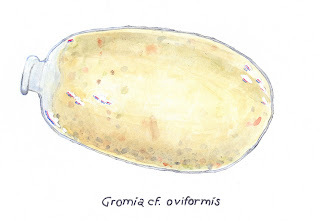 It wasn’t until the next Antarctic conference in Hobart a couple of years later that I discovered that this strange image was the DNA of an Antarctic foraminifera named Gromia assembled in the shape of the organism itself but magnified about 10,000 times. (Fig. 1) Alice Giles, the well-known harpist, was at that conference and she told me about how Carlos Salzedo used to transcribe people’s names into musical notation and she lent me a book which showed how he did it. I play the shakuhachi, the Japanese bamboo flute and I am used to playing Japanese notation. I can read Western music but I prefer to play Japanese notation. There are several schools of shakuhachi playing of which Kinko is the biggest, but my teacher, Dr Riley Lee, is from the Chikuho school so that is what I am most familiar with. The name shakuhachi is actually very prosaic, it simply says that it is ichi shaku (about 30 cm) and hachi (eight) suns (about 24 cm) long, which equates to about 54 cm. There is nothing implicit in the name that says that it is a musical instrument. Shakuhachis comes in many lengths but if there is a standard it is an [ichi] shaku hachi [sun], often written as 1.8. The shakuhachi is a chromatic instrument, so it can play all the tones and semitones in the western scale. The fundamental note, i.e. the lowest note on the instrument is D above middle C though the player can reach middle C with a special technique. But D is naturally and comfortably the lowest note with all five of the finger holes closed. The full DNA sequence transcribed into Chikuho notation is played from right to left, top to bottom. There is no bar structure in honkyoku, traditional Japanese shakuhachi music, which is notated in lines as I have done here (Fig. 2). For tempo, I have given each letter throughout the value of a crotchet and given each letter one beat. 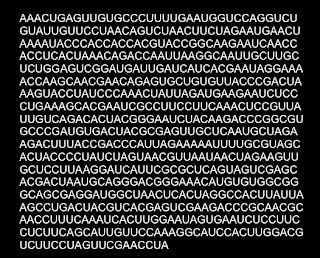 Some letters are repeated in a sequence, for example, the sequence of the first line of DNA (right hand column) is TTT, which I have scored as Ru, and counting as three beats. Finally, I have scored Ru as always being in the upper register (kan). This anchors the other notes which can be either in the upper or lower (otsu) register as is traditional in shakuhachi playing. The result is a rather mysterious sounding piece which I think befits a deep sea Antarctica organism that we know very little about." Thank you, Sam. Gromia oviformis has traveled a long way from home. It's thanks to you and the fact you introduced me to these creatures during our seasons on the ice that collaborations of such varying nature are possible. I remember telling you I thought I'd heard the sound of a reed flute on the mountains near Herbertson glacier which makes it all the more poignant - and fitting - that Rupert should play this music on a Japanese shakuhachi, an instrument that is as much about the breath and meditation as it about the performance of music.